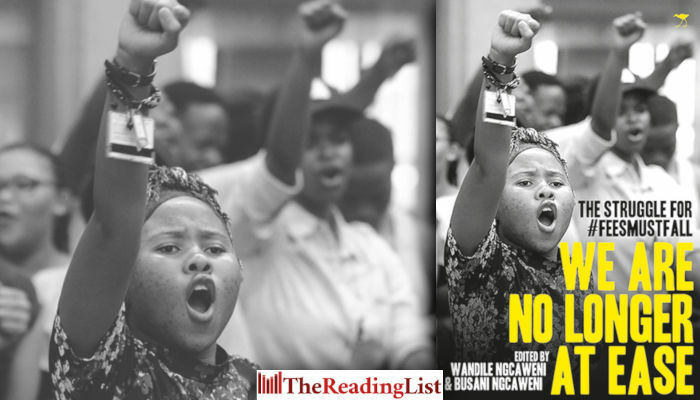 The book tells the journey of a youth that participated in a movement that redefined politics in post-apartheid South Africa, and is the evidence of a ‘born free’ generation telling their own story and leading discourse as well as action in transforming South Africa. With a foreword by Malaika wa Azania. ‘With my head wrap sitting as stern as a crown, my fist in the air and a student card leeched around my wrist, I sang as loud as my lungs could allow. But I didn’t sing, really. To say I sang sounds too pleasant. I wailed, I roared. The collection includes works by the young student leaders turned academic and public commentators, such as David Maimela, Thapelo Tselapedi and Sisonke Msimang; student newspaper journalists that were covering the protests, like Natasha Ndlebe; public writing commentators who aim to inform and teach the broader South African society about the aspects of the movement, like Yamkela Spengane and Rofhiwa Maneta; lecturers who assisted the students articulate and find clarity in the way they shaped and voiced their ideas, such as Sabelo Ndlovu-Gatsheni; and of course the foot soldiers on the ground who were leading students through the police brutality of rubber bullets and pepper spray, like Mcebo Dlamini, Lovelyn Nwadey, Ntokozo Qwabe and Ramabina Mahapa. Wandile Ngcaweni is a junior researcher at the Mapungubwe Institute for Strategic Reflection (MISTRA). Ngcaweni is currently completing his Honours in Development Studies at Unisa. Ngcaweni was part of the #FeesMustFall protests at the University of Johannesburg. Busani Ngcaweni is a senior public servant and Deputy Director-General in The Presidency. He holds an MSc from Natal University and is currently a doctoral candidate at the University of Johannesburg. Ngcaweni is a regular contributor to periodicals like The Thinker and weekly newspapers like the Mail & Guardian and The Sunday Independent.